Botanicals: 11 - more details coming soon! 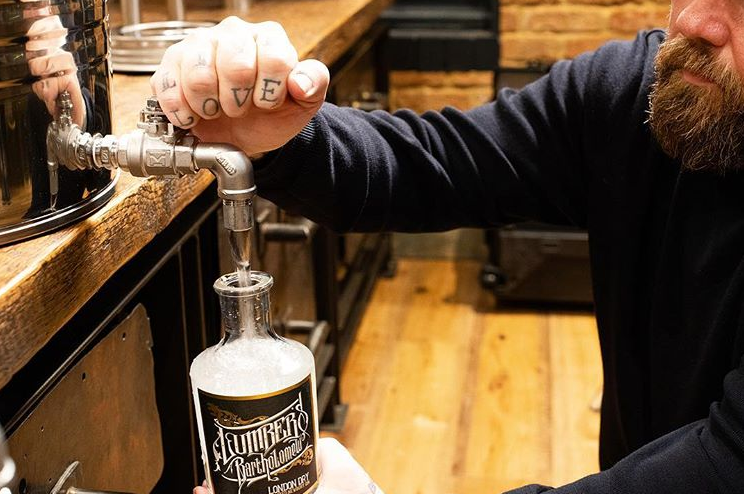 Lumber's Bartholomew London Dry Gin was launched in 2018 by Pete Lumber, landlord of The Newbury Pub located in the centre of Newbury in Berkshire, at 137 Bartholomew Street. In 2018, 137 Gin Distillery was built onto the back of the pub and is named after the pub's street number, while the gin takes it's name from a combination of Pete's surname and the pub's street. The logo is designed by a graffiti artist in reference to Pete's home town of Bristol. The gin is distilled in-house in a copper still which is named after Pete's wife, Laima.